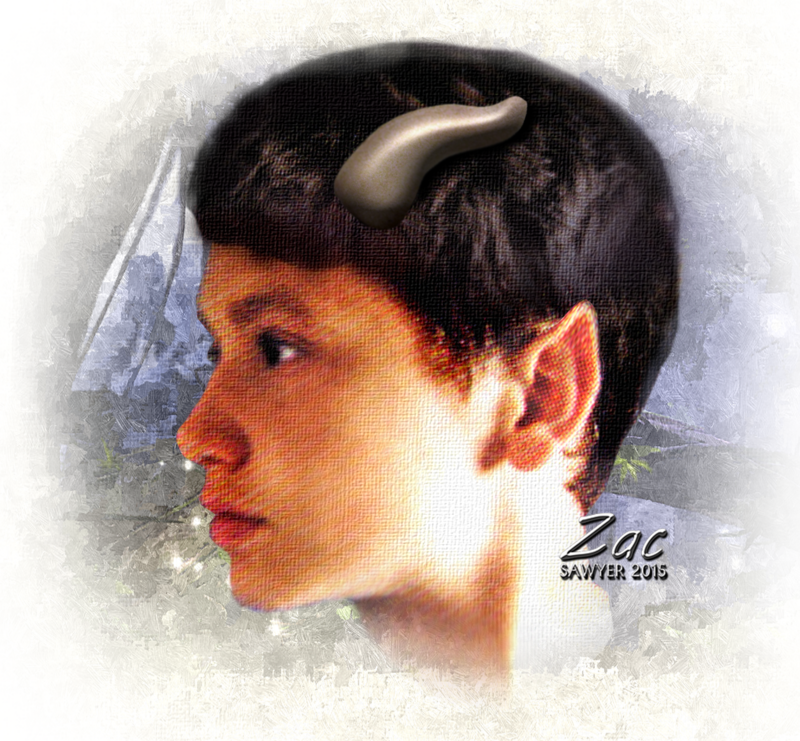 'Adonios smiled and nodded, and Glaux fluffed his feathers. mainly related to the apparent reality of Greek and Roman religious and philosophical beliefs appearing in the story. 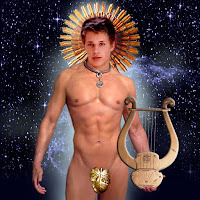 Among these unusual aspects is the continued significance of the presence of the God Apollo, not only in the importance of the prophecies of the Cumeaen Sibyl, and the presumed origins of Petronius, but also in the matter of the 'cursed pugio', the appearance, and nature of Glaux, and the equally mysterious Faunus. In line 4 of Virgil's 'Fourth Eclogue' there is a reference the Cumaean Sibyl, claiming it as a source for the unfolding prophecy concerning the 'magnus ordo saeclorum', or 'great order of the ages'. The following lines (ll. 5–10) reference a myriad grouping of ideas: Hesiod's Ages of Man; the concept of a 'magnus annus', or the 'Great Year' that begins a great age; Plato's idea that there is a recurring rule of Saturn (see below for the doctrine of recurrence); and these are a collection of oracular utterances written in Greek hexameters, ascribed to the prophetesses who uttered divine revelations in a frenzied state. 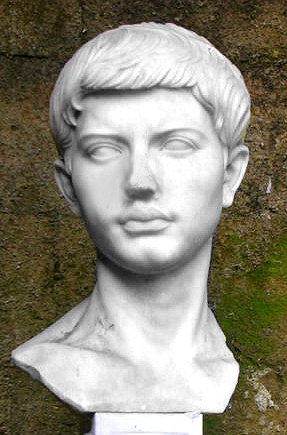 Line 10 of Virgil's Fourth Eclogue concludes with a reference to the god Apollo, a deity who would be elevated to a special place in the Roman pantheon during the rule of Augustus: 'tuus iam regnat Apollo' ('Your Apollo now is ruling'). 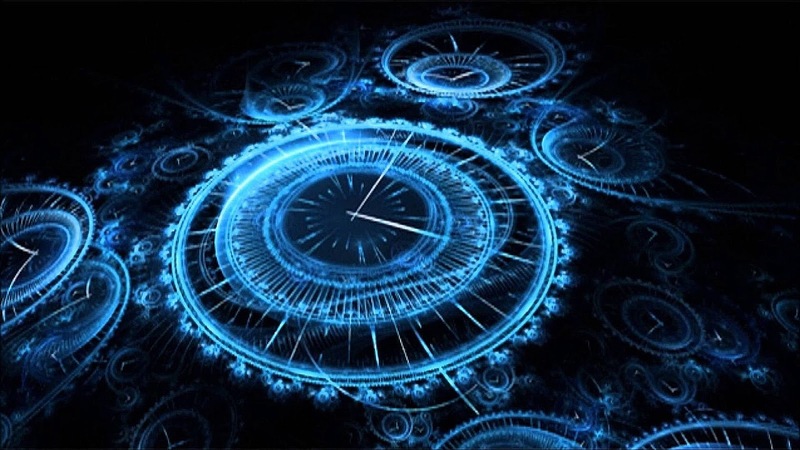 Much of this apparent 'strangeness' relates to concepts held in the Ancient World, (the world of the Story of Gracchus), with regard to the nature of Time, and the nature of Reality. "I can bring everyone back…everyone…". 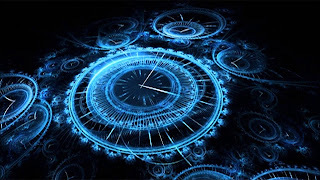 Ancient cultures such as Ancient Greeks and Romans - have a concept of a 'wheel of time': they regard time as cyclical and quantic, consisting of repeating ages that happen to every being of the Universe between birth and extinction - hence Faunus' statement to Adonios - "I can bring everyone back…everyone…". Alternatively, the Judeo-Christian world-view regards time as linear and directional, beginning with the act of creation by God, and ending with the Eschaton (end of time). In general, the linear perception of time may be illustrated by an arrow. On one end is the past, and on the other is the future. The present lies somewhere in between. According to this view, time is a 'one-way street' on which one can only move forward, and never back. The traditional Christian view sees time ending, teleologically, with the eschatological end of the present order of things, the 'end time'. The cyclical perception of time is much different from the Judeo-Christian linear perception of time. As an example, whilst the latter places an emphasis on action, the former values reflection, especially of things that have happened in the past. 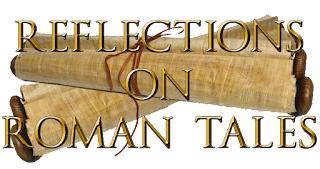 This is due to the belief that since time repeats itself, it is imperative that lessons of the past (traditions of the ancestors - 'Mos maiorum', as favoured by Gnaeus Gracchus and Marcus), be taken into consideration when one makes decisions in the present. Whilst this generally applies to all ancient cultures, (except the Jewish and Persian), it may be said that variations of this perception of time also exist amongst them. 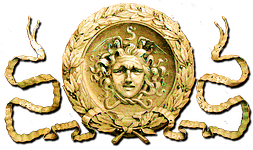 οὐροβόρος - the 'Ouroboros' - a Greek word meaning 'tail devourer', is one of the oldest mystical symbols in the world and is the symbol depicting a serpent eating its own tail. Originating in Ancient Egyptian iconography, the 'Ouroboros' was viewed as a symbol representing the travels of the sun disk. 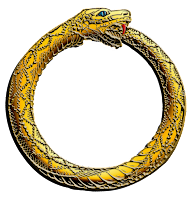 The 'Ouroboros' entered the Western tradition via Greek magical tradition, and was adopted as a symbol, in Greco-Roman times, by the Gnostics and Hermeticists. 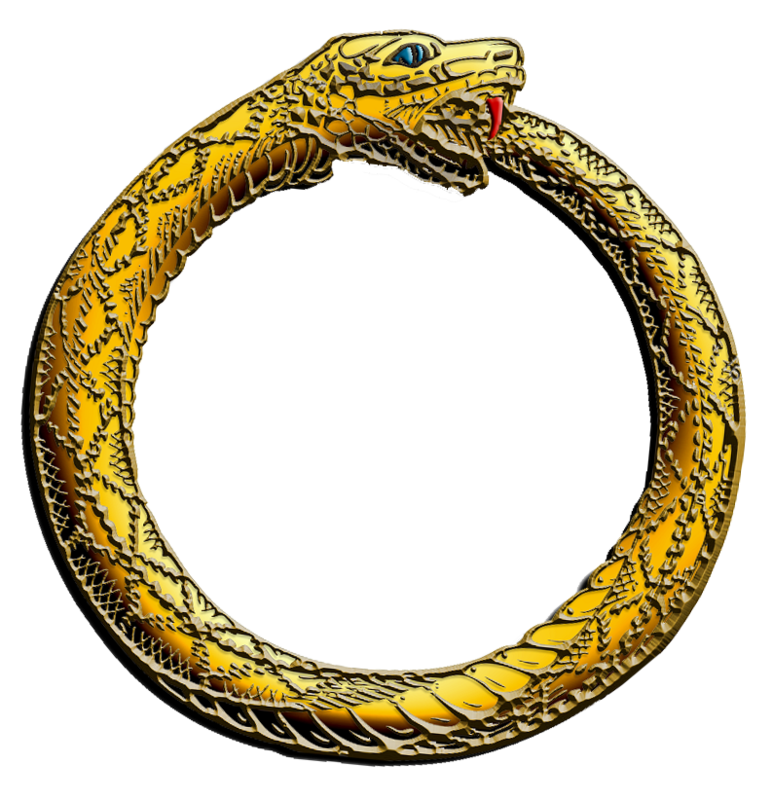 The symbolism of the 'Ouroboros' relates to 'introspection', the concept of 'eternal recurrence', especially in the sense of something constantly re-creating itself. It also represents the infinite cycle of nature's endless creation and destruction - life and death. In mythology, the 'Oroborus' is a symbol representing the Milky Way. 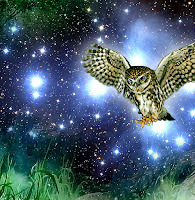 Myth refers to a 'serpent of light' residing in the heavens. The Milky Way is this serpent, and viewed at the galactic central point, near Sagittarius, this serpent eats its own tail. Significantly, many ancients used the galaxy to calculate cosmic and earth cycles. 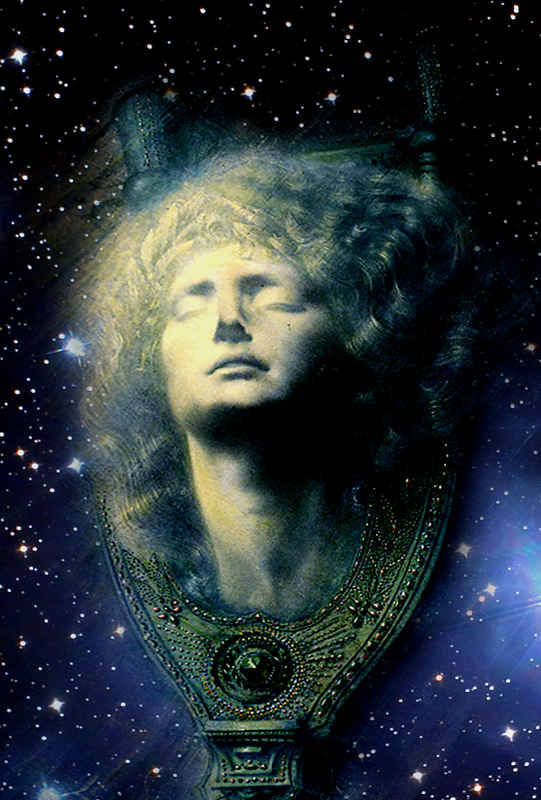 In Gnosticism the 'Oroborus' symbolizes the transcendence of duality, and is related to the solar God 'Abraxas' (the 'Great Archon' - Greek - 'megas archōn'), and signifies eternity, and the ever renewing 'Soul of the World'. 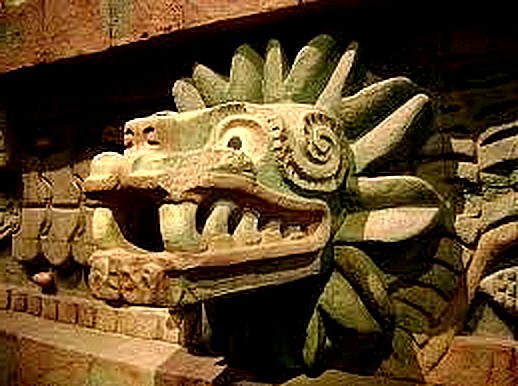 There is also a strange connection between the 'Oroborus' and the Aztec serpent God, 'Queztacoatl'. Zoroastrianism is one of the first religions to view time as non-cyclical. The Greeks - in the Hellenistic sense of the term - had an understanding of Zoroaster as expressed by Plutarch, Diogenes Laertius, and Agathias, that saw him, at the core, to be the 'prophet and founder of the religion of the Iranian peoples' - and Pliny the Elder names Zoroaster as the inventor of magic (Natural History 30.2.3). The key concept in Zoroastrianism with regard to time is the doctrine of a final renovation of the universe, when evil will be destroyed, and everything else will be then in perfect unity with God (Ahura Mazda). The Persian term for this suggests 'making wonderful or excellent'. 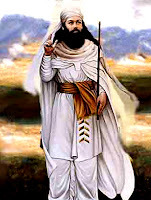 Zoroaster, of course is the character 'usurped' by Nietzsche for his monumental work, 'Also sprach Zarathustra: Ein Buch für Alle und Keinen', which overturns the teachings of the Persian prophet by denying the possibility of an objective definition of good and evil, ('Jenseits von Gut und Böse'), and suggests the temporal theory of 'Eternal Recurrence'. The Greek language denotes two distinct principles regarding time, 'Chronos' and 'Kairos'. The former refers to numeric, or chronological, time. The latter, literally 'the right or opportune moment', relates specifically to metaphysical or Divine time. In theology, Kairos is qualitative, as opposed to quantitative. 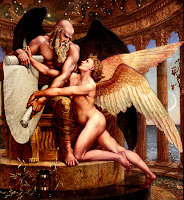 In Greek mythology, Χρόνος - Chronos, is identified as the personification of Time. His name in Greek simply means 'time', and is alternatively spelled Chronus (Latin spelling), or Khronos. Chronus is usually portrayed as an old, wise man with a long, grey beard, such as 'Father Time'. Some English words, whose etymological root is khronos/chronos, include chronology, chronometer, chronic, anachronism, synchronise, and chronicle. Such philosophers believed that the universe had an infinite past, with no beginning. Plato, in the 'Timaeus', identified time with the period of motion of the heavenly bodies. Aristotle, in Book IV of his 'Physica', defined time as 'number of movement in respect of the before and after'. Parmenides went further, maintaining that time, motion, and change were illusions, leading to the paradoxes of his follower Zeno. 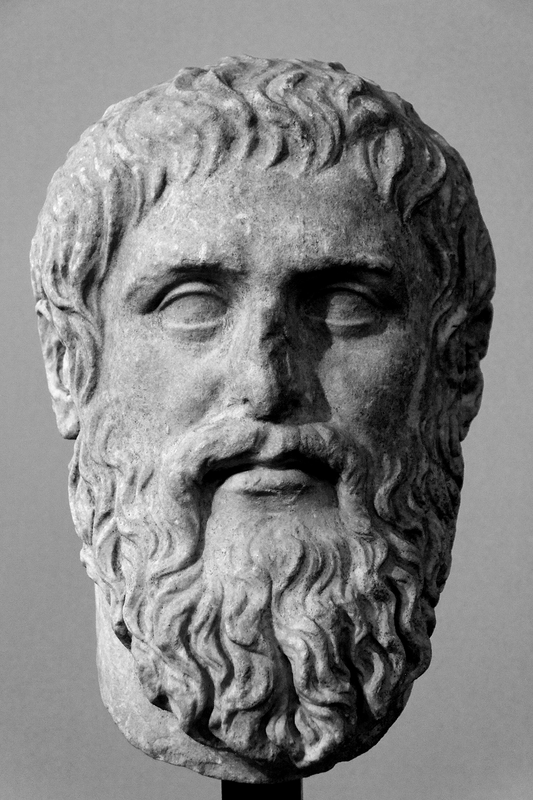 Zeno's paradoxes are a set of philosophical problems generally thought to have been devised by Greek philosopher Zeno of Elea to support Parmenides' doctrine that, contrary to the evidence of one's senses, the belief in plurality and change is mistaken, and in particular that motion is nothing but an illusion. The two most famous paradoxes are 'Achilles and the Tortoise' and the 'Paradox of the Arrow'. 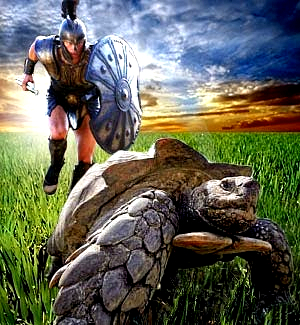 While mathematics can calculate where and when the moving Achilles will overtake the Tortoise of Zeno's paradox, philosophers such as Brown and Moorcroft state that mathematics does not address the central point in Zeno's argument, (that Achilles, although he runs faster, logically never catches up with the slow moving Tortoise), and that solving the mathematical issues does not solve every issue the paradoxes raise. Even today Zeno's paradoxes cannot be satisfactorily explained, and the 'Paradox of the Arrow' appears to suggest that time itself is an illusion. If time can be shown to be an illusion, then this necessarily creates problems with our experience of the material world. This was first explored by the Greek pre-Socratic sophist, Gorgias (c. 483–375 BC) who is quoted by the Roman sceptic, Sextus Empiricus, as having stated that 'nothing exists', and that 'even if something exists, nothing can be known about it'. In addition he stated that 'even if something could be known about it, knowledge about it cannot be communicated to others'. 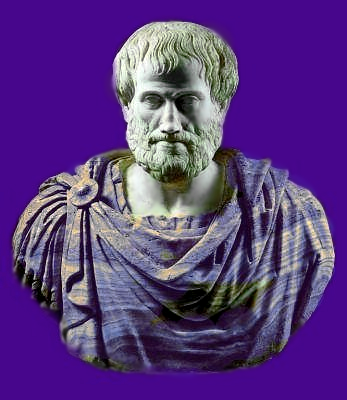 Much of the point of the Sophists was to show that 'objective' knowledge was a literal impossibility. The questioning of the reality of our perception of the material world led Greek and Roman philosophers to suggest the 'Dream Theory of Perception'. While people dream, they usually do not realize they are dreaming, (if they do, which is unusual, it is called a 'lucid dream'). This has led philosophers to wonder whether one could actually be dreaming constantly, instead of being in waking reality (whatever that may be). This leads to the suggestion that one cannot be certain, at any given point in time, that one is not dreaming). In the Ancient World, this philosophical puzzle was referred to by Plato in the 'Theaetetus' (158b-d), and also Aristotle in the 'Metaphysics' (1011a6). 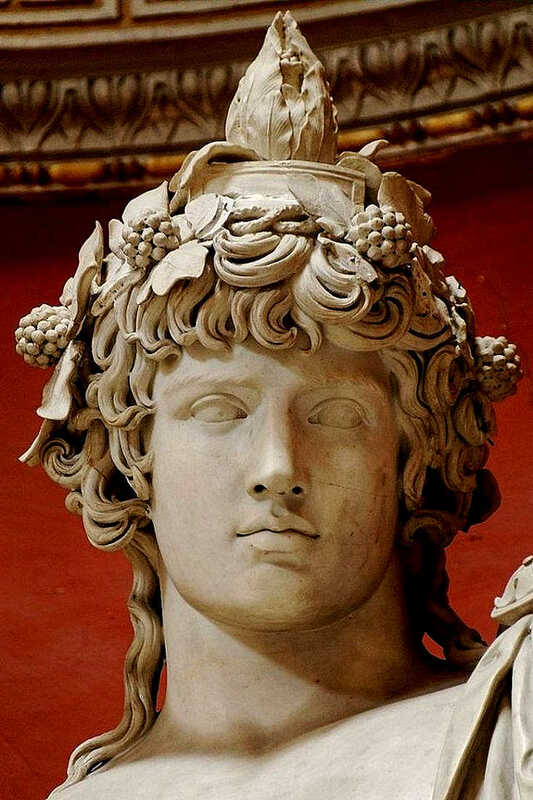 To some extent the Hellenistic Greeks were philosophically influenced by Hindu thought, as a result of the contact with Indian culture which occurred when Alexander III of Macedon (20/21 July 356 BC – 10/11 June 323 BC), (Alexander the Great), invaded Western India. 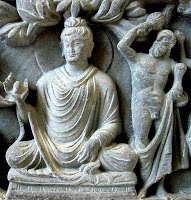 It was through this contact that the Greeks became aware of the Hindu concept of 'Māyā'. 'Māyā' pre-exists, and co-exists, with Brahman – the 'Ultimate Principle'. 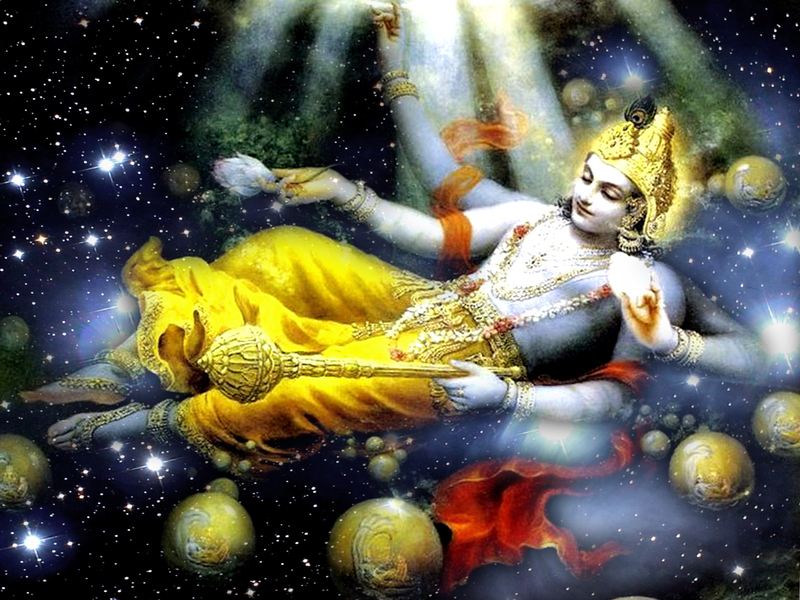 In Hinduism, Brahman is the highest Universal Principle - the Ultimate Reality. Brahman is the material, efficient, formal and final cause of all. It is the pervasive, genderless, infinite, eternal that does not change, yet is the cause of all changes. Brahman, as a metaphysical concept, is the single binding unity behind the diversity in all. 'Māyā' is 'perceived reality', - a 'reality' that that does not reveal the hidden principles, the 'true reality'. 'Māyā' has been poetically described as 'the dreams of Brahman' - which returns us, in some sense, to the 'Dream Theory of Perception'. Returning to the concept of time in the ancient world, (see above), the cyclical theory of time took the form, for most Greek and Roman intellectuals, of 'Eternal Return' (also known as 'Eternal Recurrence'). This is a concept that states that the universe, and all existence and energy, has been recurring, and will continue to recur, in a self-similar form, an infinite number of times across infinite time or space. The concept, (as with the concept of 'reality as an illusion'), is also found in Indian, and in ancient Egyptian philosophy, and was subsequently taken up by the Pythagoreans, Stoics and Gnostics (in 'The Story of Gracchus' Terentius is a Stoic). 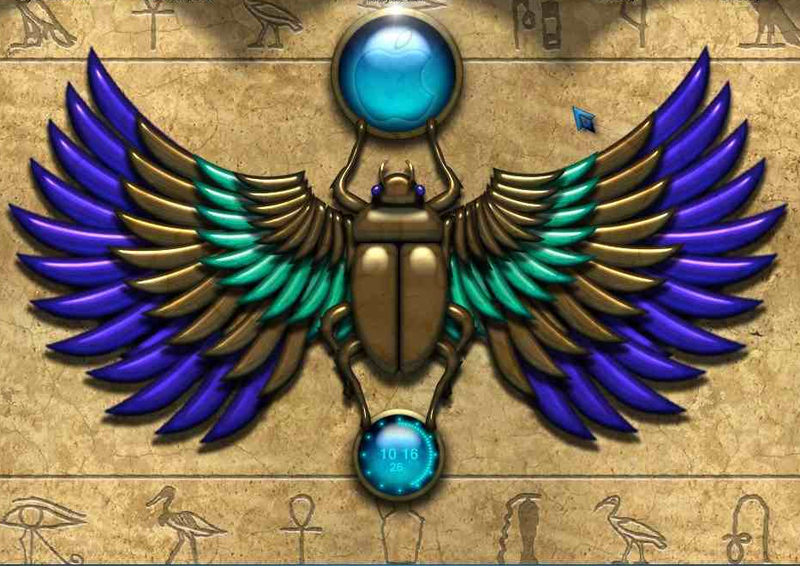 In ancient Egypt, the scarab (or dung beetle) was viewed as a sign of 'eternal renewal', and re-emergence of life, a reminder of the life to come. With the decline of Classical civilisation, and the spread of christianity, cyclic concepts of time fell into disuse in the Western world, with the significant exception of the German philosopher Friedrich Nietzsche (see Preface). 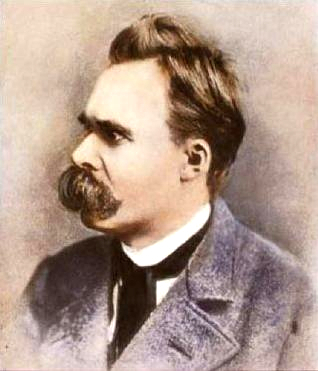 Lou Andreas-Salomé pointed out that Nietzsche referred to ancient 'cyclical conceptions of time', in particular by the Pythagoreans, in his book 'Unzeitgemässe Betrachtungen' (Untimely Meditations). 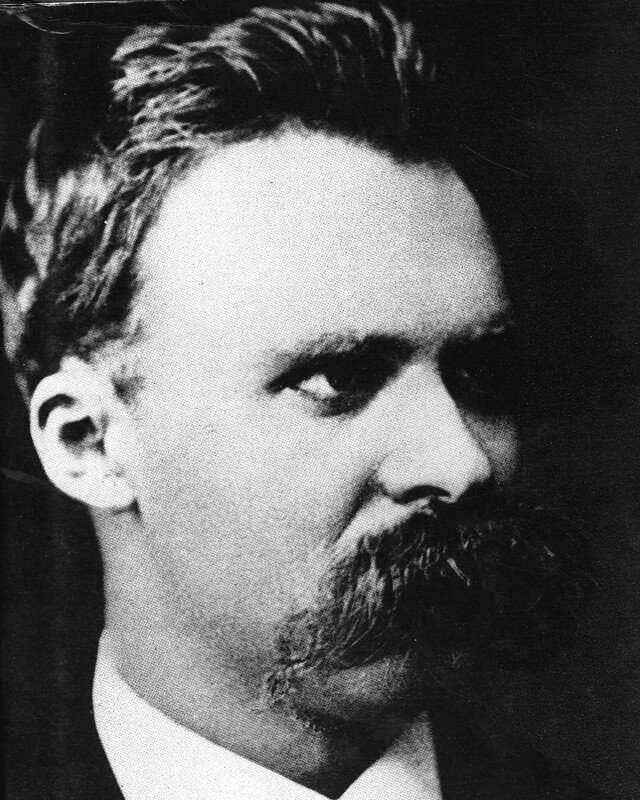 Henri Lichtenberger and Charles Andler have pinpointed three works contemporary to Nietzsche which carried on the same hypothesis: J.G. Vogt, Die Kraft. 'Eine real-monistische Weltanschauung' (1878), Auguste Blanqui, 'L'éternité par les astres' (1872) and Gustave 'Le Bon, L'homme et les sociétés' (1881). The eternal recurrence is also mentioned in passing by the Devil in Part Four, Book XI, Chapter 9 of Dostoevsky's 'The Brothers Karamazov,' which is another possible source that Nietzsche may have been drawing upon. Related to the concept of 'Eternal Recurrence' is the concept of 'Reincarnation'. 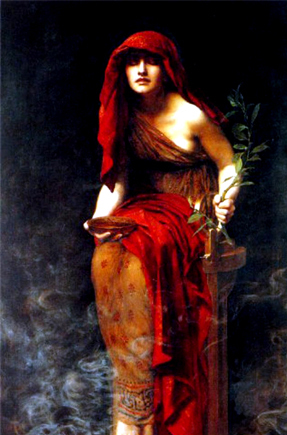 The Orphic religion, which taught reincarnation, about the 6th century BC, organized itself into 'mystery schools' at Eleusis, (an important feature later in 'The Story of Gracchus'), and elsewhere, and produced a copious literature. 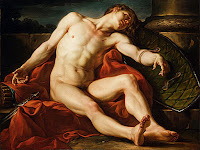 Orpheus, its legendary founder, is said to have taught that the immortal soul aspires to freedom while the body holds it prisoner. The 'wheel of birth' revolves, and the soul alternates between freedom and captivity (hence the alternating themes of 'freedom' and 'slavery' in 'The Story of Gracchus') round the wide circle of necessity. 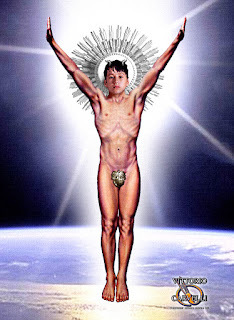 Orpheus proclaimed the need of the favour of the Gods, - the God Dionysus in particular - and of self-purification until the soul has completed the spiral ascent of destiny to live for ever. An association between Pythagorean philosophy and reincarnation was routinely accepted throughout antiquity. In the 'Republic', Plato makes Socrates tell how Er, the son of Armenius, miraculously returned to life on the twelfth day after death, and recounted the secrets of the other world. There are myths and theories to the same effect in other dialogues, in the Chariot allegory of the 'Phaedrus', in the 'Meno', 'Timaeus' and also 'The Laws'. The soul, once separated from the body, spends an indeterminate amount of time in region of the Forms (see The Allegory of the Cave in T'he Republic' and Plato's theory of the Forms) and then assumes another body. In later Greek literature the doctrine of Reincarnation is mentioned in a fragment of Menander, and satirized by Lucian. In Roman literature reincarnation is also referred to also by Lucretius and Horace. Virgil works the idea into his account of the Underworld in the sixth book of the 'Aeneid' (see above and below). Such theories persist down to the late classic thinkers, Plotinus, and the other Neo-Platonists. 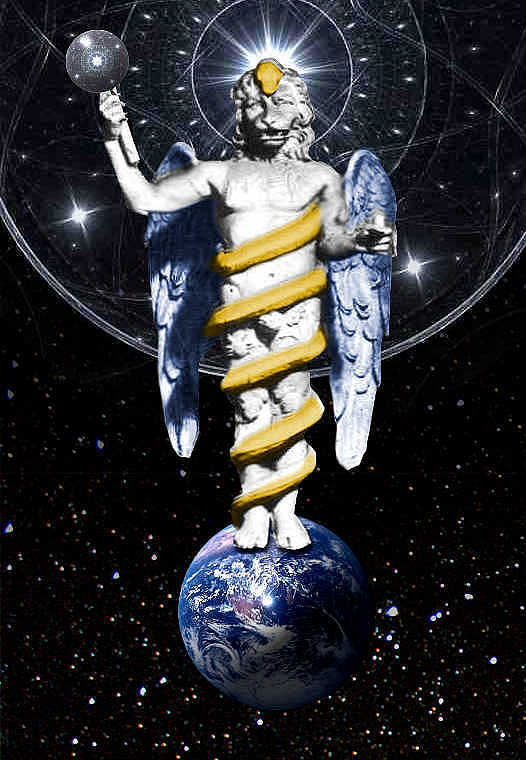 In the Gnostic 'Hermetica', a Graeco-Egyptian series of writings on cosmology and spirituality, attributed to Hermes Trismegistus/Thoth, the doctrine of reincarnation is central. So... you may be thinking to yourself - is 'The Story of Gracchus' just a dream that Marcus has, in the cabin of the ship taking himself and his parents to Brundisium ? Or is this a dream of one of the other characters - maybe Adonios or Petronius, when they are still the slaves of Gnaeus Gracchus - fantasies of teenage boys yearning for a new 'friend' (Marcus), and a life of adventure and excitement ? 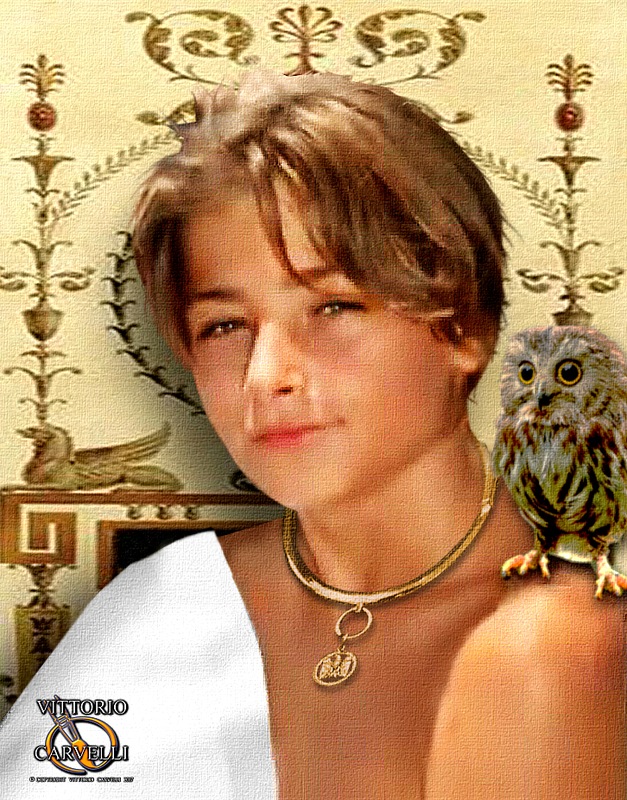 Or is Aurarius - who is still called 'Boy' by his senile and sick master, and is lying on his filthy mattress in a shabby villa in Greece, dreaming about a new life with a fabulously wealthy, handsome young master, who will really 'love' him ? Or is Gnaeus Gracchus, dreaming of a fine 'fantasy son' (Marcus), to replace the boy Demetrios he has hidden away in the villa in Tibur with his estranged wife. And if this story is a 'dream' - perhaps this might explain some strange happenings - for example the prophecies of the Sibyl, the appearance of Glaux at the villa, the fact that Faunus can appear and disappear at will, read people's minds, and have 'anything' he wants. Or perhaps the whole 'Story of Gracchus' has already happened before, and the story that you are now reading is a repeat - perhaps with minor variations - of the previous events, and that is why certain characters have some knowledge of future events ? Or perhaps the story will suddenly end - and then repeat itself - but not quite in the same way ? Or is the story perhaps some strange combination of a number of these speculations.......? In this 'reflection' lies the 'secret' of the Story of Gracchus - and the beginnings of an explanation of the true meaning of the story. But don't get worried - if you just like the explicit Roman bits, and the images - they'll still be there - right up until the end - which may, of course, also be the beginning......or an awakening...."
'Now is the last age of the song of Cumæ - and the great line of the centuries begins anew. 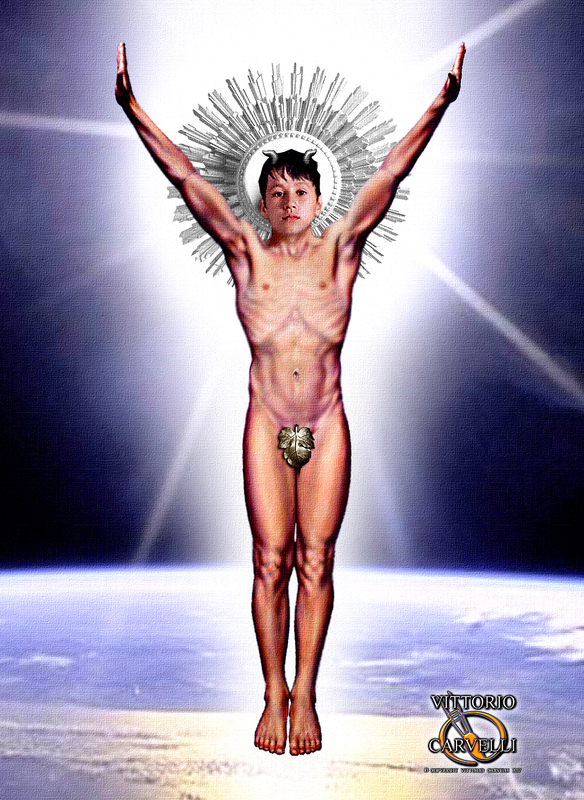 Now Virgo, and the reign of Saturn returns;now a new generation descends from heaven on high.